This is the first part of the three-part investigative series that will take a closer look at those digital currency exchanges that sometimes operate as if it were the Wild Wild West. Currently, there is little to no oversight or regulation for the exchanges. As such, it is up to the bitcoin community to research and know something about the exchanges before we trust them with thousands of dollars. It seems that very few actually do as we read about so many “basement” exchanges closing down and taking the customers’ wallets with them. There is no recourse for this situation and recent statements from several governments lately make this abundantly clear. In short, you are on your own. These series of articles will hopefully shine a bright light on those places that often time go dark. This list attempts to make no judgments, it is information only. It is up to you to interpret this information as the reader sees fit. We have laws and regulations that require banking services and exchanges to make some effort to Know Your Customer. This is commonly referred to as “KYC” with the intent to safeguard against would-be money launders, terrorist and the sort. However, how much do we know about them? Do you trust your thousands of dollars’ worth of bitcoins to a web address that you know only by its front page website that looks convincingly trustworthy because it has pretty graphics and official sounding financial words? Very few, it seems, have taken the additional effort and time to see for themselves deeper than the web page and actions of the bitcoin herd. Many people just assume that if everybody else is doing it, they might as well too. This series selects the top exchanges by volume to dig deeper and get some facts the traders ought to consider. With this information, we can do more to help ourselves as we are on our own. It’s time we create our very own “Know Your Exchange” (KYE) guidelines. Mt.Gox – The embattled and possibly now dead, exchange located near Tokyo Japan, originally was created in early 2010 to allow on-line exchange for collectables used for the fantasy trading card game “Magic the Gathering”. It quickly ceased this business plan and experimented with the new bitcoin concept. In March of 2011 the company was sold to Mark Karpeles and his company Tibanne Co. Ltd. The exchange only accepts bank-wire transfers from the US. It abides by the KYC laws but was often cited at being weeks behind in approving requests for an account due to being understaffed for the amount of requests received. This caused a delay in purchasing bitcoins for up to a month or more. The experience of bitcoin investors here could be interpreted as the warning shot to provide a learning experience for others to follow and highlights the importance of this article. Reports indicate that the exchange is refusing to transfer money or bitcoin via wallets outside of its exchange for what it calls “Technical Reasons”. The front page on their website includes a news feed that is a laundry list of excuses for the problems and press it has received throughout the year. Whatever the current state of Mt.Gox today, the trading platform has been credited for helping bitcoin reach the status and price levels of today. It was a better trading platform than those before it. One could argue that it was a small fish suddenly finding itself in a big pool. Warning signs have been in the press for its viability and solvency since last summer. Many insiders to the bitcoin community spoke often about the dangers. In July 2013, Roger Ver, the nicknamed “Bitcoin Jesus” millionaire and early bitcoin promoter, posted a video on YouTube vouching for the solvency of Mt.Gox having personally visited the exchange. Mt.Gox was the largest bitcoin exchange by volume until recently and the price quotes used by the press and many calculations were based on the bitcoin price found there. But many argue that the higher price found on this exchange was due to the fact that bitcoins were bought or moved there, but because of banking regulations and legal reasons bitcoin could not be converted to cash and sent to regular banking channels. The only way out was to move bitcoins through the bitcoin wallet system. Many people attempted to arbitrage the price difference between Mt. Gox and the other exchanges selling bitcoin cheaper. This involves buying bitcoin on other exchanges for a cheaper price and then transferring the bitcoin to Mt. Gox to resell at a higher price profiting from the difference. Unfortunately when the bitcoin was moved to Mt. Gox, they found that once it sold, they could not move their converted dollars through banking system back home as Mt. Gox was cut off from regular banking transfers for many countries. The unlucky customers were forced to pay the same higher prices to repurchase the bitcoin to move it back out through the bitcoin network instead. Although it seems many didn’t immediately understood that this was even an option. This created a bubble as it was effectively a “dead end street” and a large amount of people new to bitcoin found themselves “stuck” at the end of the road with many continually buying at increasing bid amounts to make a financial u-turn. Price differences between Gox and the others topped $100.00 per bitcoin. The address is listed in the UK. It is owned by the parent company UK PLC which shares the same address. It was announced in August of 2011. The front page of UK PLC shows the expensive looking high rise end of London. One might think of the image of BITSTAMP being a huge company in the high-end financial district of the London Elites. BITSTAMP seems to have weathered to bitcoin exchange controversies better than others and seems to be arguably the de-facto trusted leader of bitcoin exchanges as of today. The price quotes from this exchange are now widely used and referenced by other bitcoin companies including US-based Coinbase.com. They still require bank –wire transfers from the US and abide by KYC laws. 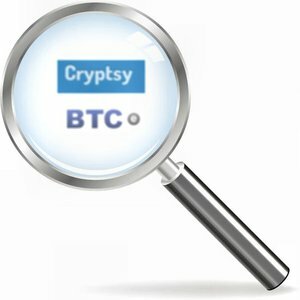 An informative website with additional facts about BITSTAMP is found here. Bitcoin exchanges - in perspective. It’s important for the reader to remember that the marketplace for bitcoin is young and largely immature. Bitcoin investments are considered very risky by the established risk analyzers. Those who invest in bitcoin understand this, and perhaps having these unregulated and immature exchanges are just part of that accepted equation. The exchanges profiled here were not set up by established financial experts. These are essential tech companies that did not dismiss the currency out of hand as the financial establishment has done. It is prudent, perhaps, to withhold judgment as history will yet decide if these innovating pioneers were the dawn of something grand and wonderful... or a footnote. As a disruptive force bitcoin simply could not have been born or allowed to live by the banking establishment. Logically, it had to come from the technically minded to understand its basic foundation. Having a marketplace to distribute the currency is crucial for its development. For all the negative aspects that have been reported, it might be wise to respect the visionary pioneers who have gotten it this far. They had to maneuver tricky business factors and the lack of respect for the currency that brought with it embarrassing stereotypes to overcome. This is not unprecedented in the technology world. Bill Gates, Steve Jobs and many others had to start out in garages or houses. They had humble beginnings, but they still had to project an image that was perhaps greater than their actual achievements and stature at that time. It perhaps requires these traits to be taken seriously enough to be given a chance. Perhaps it was inevitable that the financial world ignored it and then laughed at it. Today, as the proverb suggests, some are fighting it. However, in the land of the technical pioneering spirit - the US has not issued governmental warnings to stay away. This is not true of several governments - that seem intent on fighting it. The leaders in the high-tech sector responsible for much of the giant successes of the last two decades have begun to take the lead again. They are dragging along their big financial backers whom they’ve made wealthy. Those backers would naturally be resistant to a disruptive technology. Hedge fund managers are the contrarians of the banking crowd are increasingly taking bitcoin seriously. They will likely be the trailblazers for the financial world eventually forcing the stodgy status-quo bankers to keep up,. New money entering into the ecosystem will demand regular regulated exchanges in the US. and with it, like it or not, established banking systems. These were often referred to as the “enemy” of bitcoin - but ironically might be its savior bringing the currency from its infancy to its toddler stage. Internet idealists desperately wanted to keep the internet free from advertising and big money. This is also true for bitcoin idealists. New wondrous technology will likely not be exclusionary of bankers any more than it would be to drug dealers or governments. For now however, we have these small and relatively immature exchanges pioneering the way. Rebellious and anti-establishment, they have filled a vital role that could not have come from within the establishment. Unfortunately most may not last long when the big money rushes in and co-opts them. Some may well survive on the peripherals, for the portion of the population often ignored, disaffected, and under represented - which ironically may very well may describe their current customer base. Finding and regulating all of the exchanges may be trickier than it seems - as will be discussed further in the next part of this series. For now, find the one exchange you can trust and celebrate them with your business while you still can. Watch for part two in this series soon.